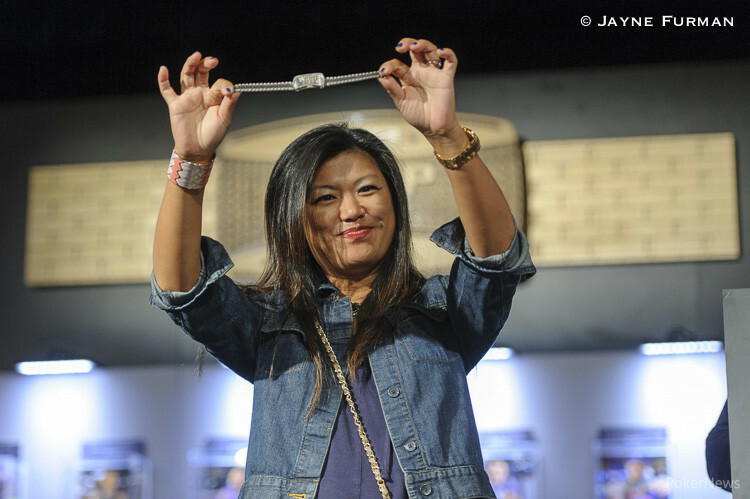 Hand #11: Persia Bonella open-shoved from middle position and picked up the blinds and antes. Hand #12: Pat Landis opened to 25,000 from the cutoff seat, Haixia Zhang three bet to 70,000 on the button, and Landis folded. 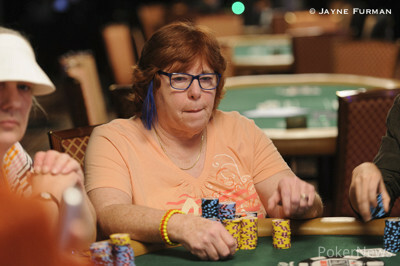 Hand #13: Zhang started the action with a raise of 25,000 from the cutoff seat, Patricia Cahill three bet shoved from the button, and Zhang made the call putting Cahill. Cahill was in trouble and needed some help to stay alive. The dealer delivered a board and Cahill was eliminated.